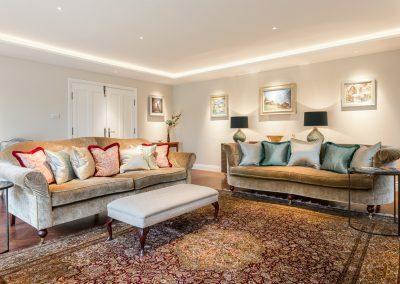 To change the look and feel of a room that the family never felt at home in. 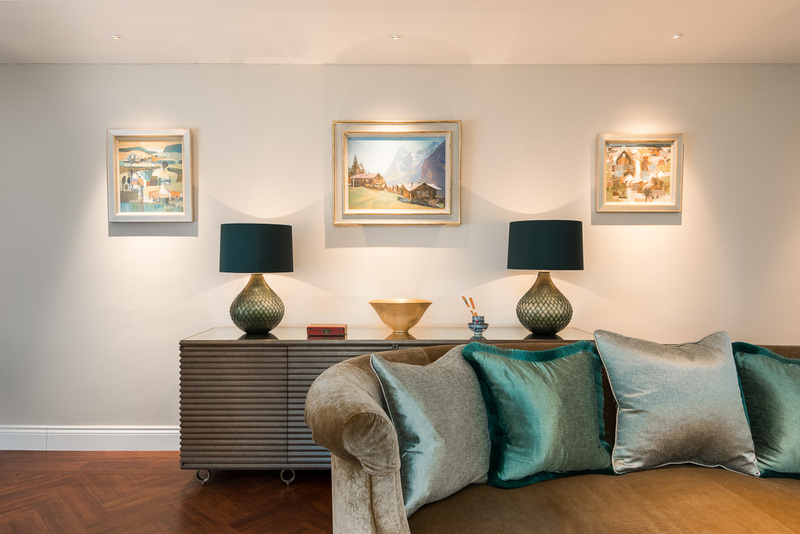 The room lacked character, warmth and cohesion and was more akin to an art gallery than a cosy living room, consequently they only used it when they had to and reluctantly. 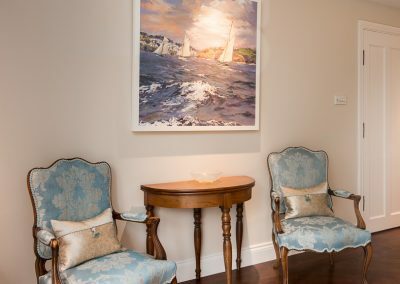 To make the room inviting, comfortable and sociable so that the family could enjoy time together, view the lovely garden and take pleasure from their collected art and sculpture. 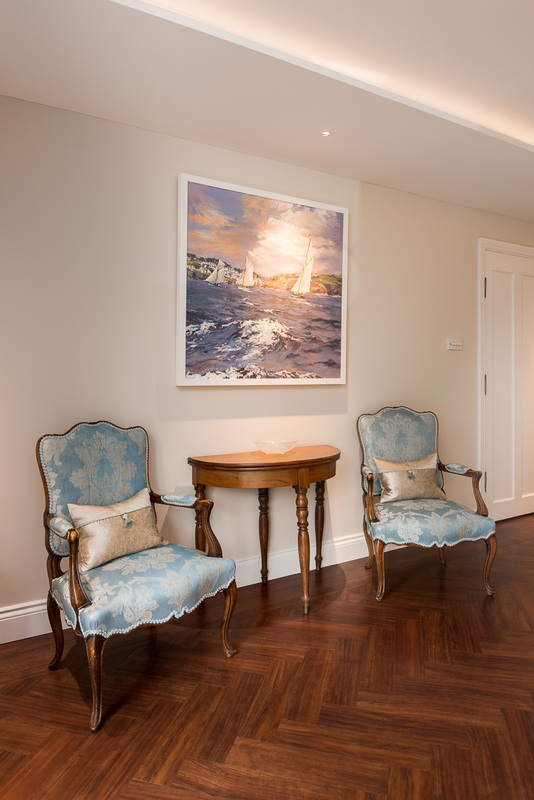 The first step was to create a lighting plan to properly and creatively light the artwork and furnishings. 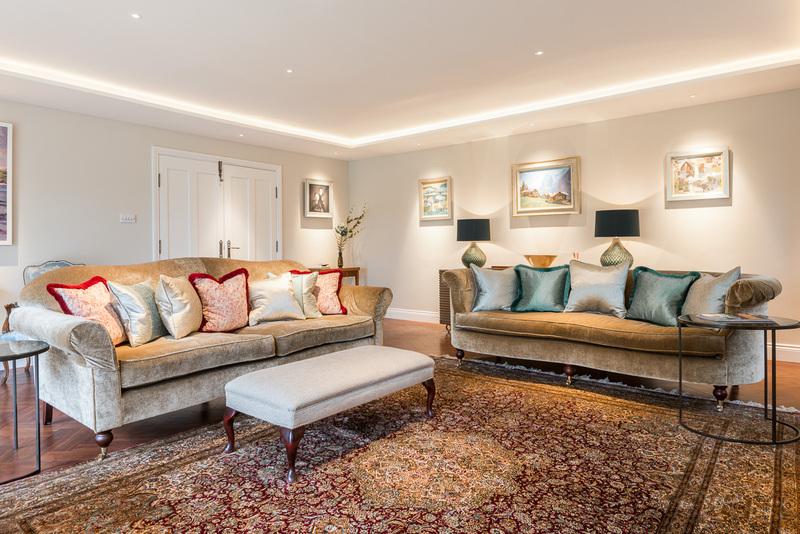 The colour scheme was inspired by the jewel colours in the silk rug and developed to create balance and harmony. A variety of textures introduced to counter balance the flat surfaces of the walls and floor. 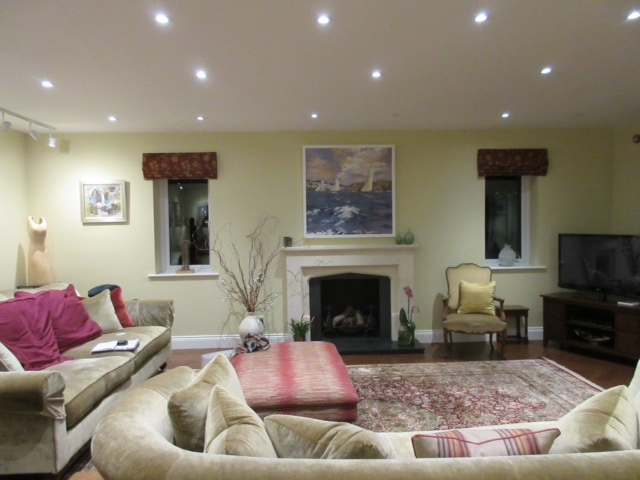 The change has had an enormous impact on the ambience of the house overall. 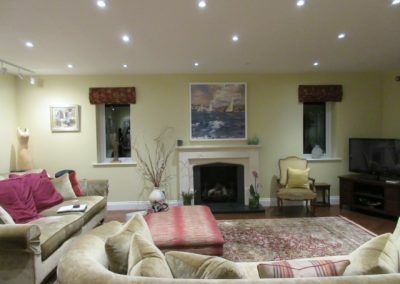 The view from the kitchen especially at night when the living room is softly lit is fabulous. 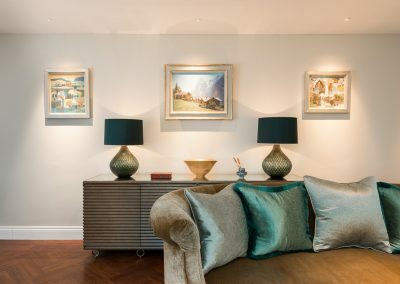 The quality of the lighting and the difference it makes cannot be underestimated: shape, form and detail are brought into crisp focus and the colours within the artwork and furnishings are true.